Toluna Online Survey Panel is owned and operated by the Toluna Group, a marketing research firm with global headquarters in Paris, France. The Toluna community has over 2.5 million members worldwide, and after recent acquisitions of the Your2Cents panels and Greenfield Online panel, Toluna has greatly expanded it’s United States and Canada Panel base. Toluna has a lot of positives going for it. Signing up is completely free, and I found the whole site to be very easy to navigate and understand. Tasks that can be complex on other sites – like creating polls or updating profile information, were a breeze to complete on Toluna. The community is a huge selling point for Toluna, and it provides an extra dimension that other sites fail to provide. Creating and participating in polls and quizzes allows everyday people to benefit from the same community wisdom that the larger companies pay money to access. You can even receive rewards for creating popular polls. There are a lot of great incentives to complete surveys. Perhaps the biggest incentive is that points can be turned into cash. However, Toluna also have a wide range of options from major retailers. “Gifties” are an exciting way to redeem points when you do not have enough to cash out – small amounts of points are gambled on the chance to win real prizes. They can even be gifted to friends and family who are not Toluna members. 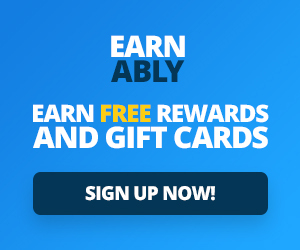 There is also a cash sweepstakes that you are automatically entered into – however, your profile must be up to date and you must have participated in recent surveys to be included. Toluna is very safe and easy to use, with the promise of real rewards. There are many available surveys on offer, unlike some sites that can have members waiting weeks for any chance to participate. There is a very useful “help” section, and assistance can always be sought from members of the community. Communication is a positive on this site. There are some important ways that you can get the most out of your experience as a part of Toluna group. Firstly – the more information you provide initially, the better your chances of being matched with surveys. Be honest, as untruthful information will eventually be discovered and could see you banned. 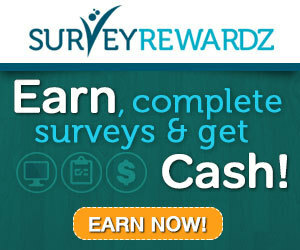 Try to complete every possible survey to improve your chances of finding one that will earn you points. Accessing surveys is much easier when you can complete them on the go. Downloading the mobile app means you get notifications when a new survey is due, and can complete them wherever you have an internet connection. Email notifications are also available, and other people in the community will have fun quizzes, “thumb its” and polls for you to participate in. Connect with other users as much as possible – being involved in the community will help you utilise the system, as well as benefiting from group input and discussion.